Trees and woodland play an incalculable role in the landscape, culture and economy of our country. The Royal Forestry Society is the largest and longest established education charity promoting the wise management of woods in England, Wales and Northern Ireland. RFS hosts the careers guide for the whole forestry sector, on behalf of the Forestry Learning and Development Working Group (FLDWG) who we work closely with to coordinate national forestry education/learning/skills programmes. We award Level 2/3 qualifications in Forestry, Arboriculture and Silviculture, and a full post-nominal certification in recognition of both practical certificates and theory qualifications; these are the RFS Cert Arb, RFS Cert Forestry and RFS Cert Silviculture. See our Guide to Careers in Forestry here. 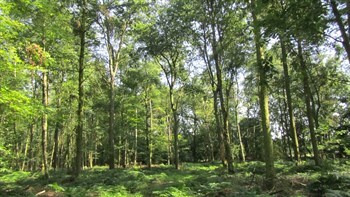 The Royal Forestry Society makes a unique and distinguished contribution, through the dissemination of practical and applied learning to all those involved in caring for trees and woodland. This learning is based on a long history of evidence based enquiry; informed experimentation, and willingness to share expertise freely. Our membership is inclusive of all woodland interests, which enriches the quality of this learning. Our divisional structure enables an annual programme of woodland meetings which is second to none, and our journal is highly prized for its unique mix of scientific articles, practical forestry advice and personal experience. “Wise About Woods” – our training, education and skills development programme for woodland owners and other woodland enthusiasts. The work of the Royal Forestry Society is funded through donations, grants, legacies and corporate sponsorship, together with membership subscriptions.